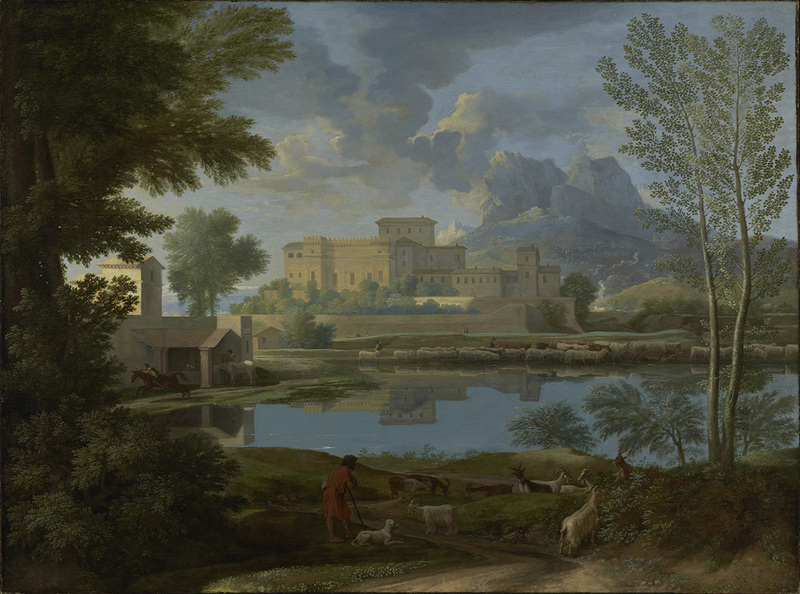 When art historian T. J. Clark visited the Getty Museum in 2000, he came upon a gallery that featured two paintings by seventeenth-century French painter Nicolas Poussin (the National Gallery, London’s Landscape with a Man Killed by a Snake and the Getty’s Landscape with a Calm) and found himself returning over and over again. In 2008, Clark documented his reflections on the two landscapes, their opposing depictions of life and death, and exploration into the depths of visual complexity in his book The Sight of Death: An Experiment in Art Writing. In this episode, Clark visits the Getty’s Poussin painting in our galleries and discusses how his perspective of the painting has changed over past decade. 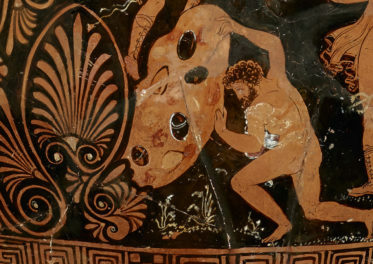 T. J. CLARK: I hate those kinds of psychoanalytic moments when you can hear the kind of machine of interpretation grinding, and, oh yes, it’s the Oedipus complex again. CUNO: In this episode I speak with art historian T. J. Clark. I met recently in a gallery of the J. Paul Getty Museum with art historian and visiting scholar T. J. [read: Tim] Clark. 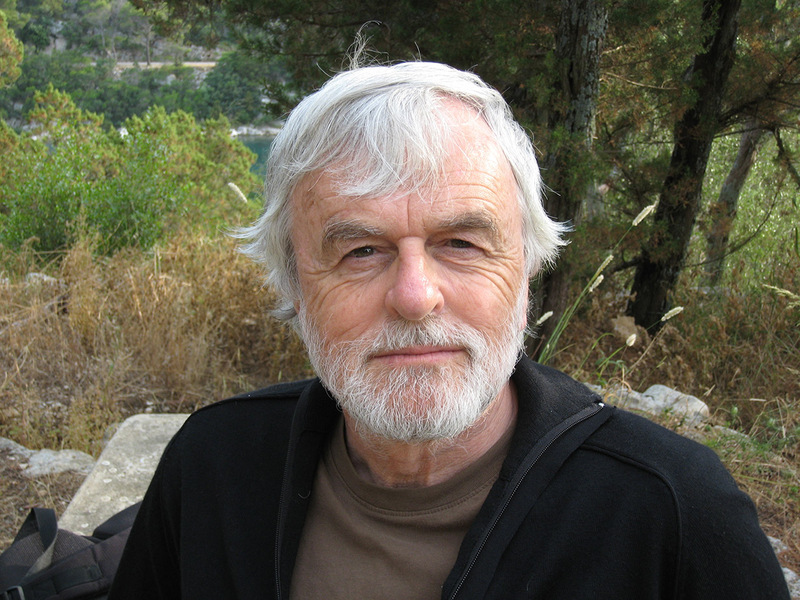 Ten years ago, Tim published a book called The Sight of Death, subtitled An Experiment in Art Writing. The book was prompted by Tim’s confrontation in the museum galleries of two paintings by the seventeenth-century French painter Nicolas Poussin, the Getty’s Landscape with a Calm of 1650 and the National Gallery in London’s Landscape with a Man Killed by a Snake of 1648. Tim had long known the National Gallery’s picture. In fact, he described it in The Sight of Death as one of his touchstones, as “an epitome of painting for me,” he said, “summing up the utmost that visual imagery could do in a certain vein.” And now he could examine it together with the Getty’s Landscape with a Calm slowly over many days and months. The resulting book is a meditation on life and death as it is depicted in these two works. But then it’s also a chronicle of an investigation into the very nature of visual complexity itself. I wanted to know how Tim thought about his book ten years on and how he thought his reading of these two pictures had held up over time. What follows is an edited version of a much longer conversation Tim and I had standing in front of the Getty’s painting. Tim, thanks so much for your time this morning. CLARK: Very happy to do this. CUNO: Great. And I wonder if we could begin by your describing the picture for us. CLARK: Yes, okay. It’s a picture of a lake—or is it a lake, or is it a tranquil stream? Anyway, a body of water, in which is reflected a massive citadel or a castle. And behind the castle, crags and a stormy sky or a turbulent gray sky with clouds billowing. In the foreground, a winding path down to the lake, with goats, cropping vegetables and trees, a goatherd, his patient dog, and framing trees—birch trees, shimmering in the sun on one side, and a dark-leaved on the left. CUNO: And you began your earlier investigation of this painting and the National Gallery painting by jotting down notes in diary form, as you looked at it, first noting the date in which you were taking down the notes, and then frequently, the light conditions in which you were seeing the painting, the actual conditions of the room in which you were seeing it. Is this the way that you typically work? That is, setting yourself before a painting, taking stock of the circumstances in which you’re seeing it, and only then turning your attention to whatever in it catches your eye. Is that a kind of warm-up exercise, a disciplined way of coming to terms with a painting—of any painting? CLARK: I don’t think it is necessarily the only way I do it. And actually, as I say in the book, I was really very surprised that this happened. I came to the Getty expecting to do other kinds of work entirely. And these two paintings just happened to be here, facing each other very calmly in a beautiful, small gallery. And I just couldn’t—I was overtaken by them. And for some reason or other, I decided I really needed to go back morning after morning and look at them. And then after a few days of doing this, I began to sort of make notes. So this was a kind of unexpected and spontaneous process. I mean, that being said, Jim, I think that in some ways, it’s extraordinary that art historians don’t do it more often and more matter-of-factly as, you know, part of what they do. Sustained attention, time after time, and admitting, in what they write, that there is no one view of a painting, that a painting opens itself to repeated looking, and looks different and, you know, directs your attention and your feelings, in ways that open up day after day, week after week. CUNO: Yeah. You come to that in the book itself in a kind of critique of the practice of art history. So, we’ll get to that—those kinds of comments, as we proceed. But I want to get to the actual looking at the picture, because in your first diary entry, you begin with the goatherd in the foreground here, specifically with his curly hair that’s placed at this intersection of the lake’s shoreline and the slight rise in the hummock to the left. And then you pointed out the painted white mark just on the water, just into the lake nearby, which disrupts the reflective surface of the lake. You didn’t say so in your book, but do you think that this might have been a conscious device by Poussin to attract the viewer and invite him or her into the invented world of the painting, to attract the, you know, the viewer’s attention to just that moment? Because it’s from there that he then is looking out onto the landscape, looking out onto his goatherd—onto the herd of goats. CUNO: It’s a kind of way to begin and enter the picture. CLARK: Yes. Well, it was my way of entering. Of course, I’m very used to looking at pictures, and therefore tend to stop myself when I notice myself being caught by a particular incident, a particular place. You know, the great literary critic and writer about photography Roland Barthes coined the term punctum for this. Right? The sort of point in a work of art, a photograph, for him, primarily, which catches your attention and somehow or other points out at you and interpolates you. I like those moments and I like the fiction that almost before I see the whole thing, I’m concentrating on one incident within it that the artist has, maybe consciously or unconsciously, sort of made a point of entry. CUNO: Yeah. But do you think that Poussin as a painter was the kind of painter to want to try to attract the viewer’s attention to one particular part of the painting as a point of entry into the painting? Because it does seem to be. I mean, it’s been a convention to see this as a painting about contemplation, stillness, and there is that still goatherd contemplating the scene before him. CLARK: Yes, I think that’s right. I mean, it’s a very calculated move, putting the curly head of the goatherd just at that intersection. And I think it is one of the first things you begin to think about in the painting, is the goatherd’s attention to the herd and to the scene. Almost immediately, you see the contrast between the standing still of the goatherd and just off to the left, you know, his absolute antithesis, this man on horseback careering off, galloping fast out of the scene. So, I mean, it’s typical Poussin that he will give you contrary states and sort of ask you to think about the relationship between them. The rider and his horse and the sort of disturbance in the moment of calm, you know, is very, very important. I mean, the date of this picture is important. Painted in 1648, in the middle of what historians of my generation used to call the general crisis of the seventeenth century, right? You know, the execution of the English king, the civil war, the Fronde in France, very close to where Poussin’s painting in Rome, a tremendous popular proletarian revolt in Naples, under Masaniello. And we know that Poussin was absolutely aware of all this. Of course, he was a very conservative man, but he was fascinated by upheaval all around him. You know, he says in one letter, “It’s interesting, isn’t it, being able to sit here quietly in the wings of history, looking on at the drama.” So all the way through these paintings done in the late 1640s, there is danger and turbulence and change. But he’s also saying look, it’s the nature of human life that it is able to contain that turbulence. CUNO: Let’s go back to the picture, because we move from this goatherd and to farther in the moment in the picture, to the play of light on various kinds of surfaces farther back from the lake, to the stone walls, to clouds and smoke. And you raise the question of whether the painting is about a transitory state of affairs, or really is about something more enduring. Is this the kind of question that you put yourself in the exercise of investigating the painting? I mean, this sense that you have a method when you begin looking at picture, by observing something, suggesting a meaning about, you know, deriving from that observation, testing that meaning by another observation, and kind of working your way, layer by layer, through the surface of the composition. CLARK: Yes, I think that’s what I do. It’s hardly a method. You know, it seems to me that it’s what human beings do when they look at pictures, if they care about pictures, if they want to look. You look at a complex object like this, and you begin to ask, hm, what is actually being intended here? What’s being said about the nature of the scene and the scene’s possible typicality, what it might say about the human condition? I mean, Poussin is the kind of mind that very much thinks in these terms, very confident about phrases like “the human condition.” He thinks that something general can be said and must be said in painting about that. So if I’ve got a method, it just is to let the painting guide me to the questions it may be posing. I mean, for instance, it doesn’t take long before you understand that the sky in the lake doesn’t seem to match the sky we’re shown. The sky in the lake is wonderfully empty. And the sky up above the castle is, you know, full of cloud and turbulence and change. So, what does that signify? By the way, I mean, you shouldn’t leap immediately to the idea, oh, well, then the reflection in the lake is just a concoction; it can’t be really what the goatherd and we see, because of course it could be. The clouds around the crags and behind, you know, could be sufficiently far back that they’re not reflected in the lake. CUNO: Especially if we’re standing above the goatherd at some distance, looking down onto the lake, that it’s a different projection. CLARK: Exactly. So it could be absolutely optically correct. But nonetheless, Poussin surely knew that a viewer was going to be interested in the lack of match between the reflection and the reality. So, what’s that about? Well, I sort of tried to think about that in the book. It’s a wonderful title, isn’t it, Landscape with a Calm? And I’m not quite sure how early on that gets attached to it. It is one of a pair. And its pair, which is in Rouen, is called Landscape with a Storm. So everything is wild and crazy in the storm. You know, people are suffering. People are desperately pushing their way through the storm towards the city. So if you think of it in relation to that, you begin to think, well, alright, this is still a landscape in which a storm could happen. Maybe a storm is happening on the other side of the mountain. But here, where we are, things are stilled. Stilled, rather than still, I think. Right? Brought to a halt, brought to a calm. But the calm— The more you look, the more there’s an intimation that the calm might be momentary; that it’s wonderful that everything is clear and arrested. But it is arrested, as opposed to permanent. CUNO: Yeah. You know, when you raise the question in your book, and just now as well, that the lake doesn’t seem to match the sky, given where the lake is—and some people have identified as a particular lake, which I’ll get to in a second, but given where the lake is in the painting, in the sort of just the second quarter of the painting, as one rises from the bottom to the top, or just near to the center of the painting, it would be a disturbance to the eye, let alone to the scene, to have those clouds reflected in the lake as they are in the sky, the turbulence of the sky. And one wants that sense of calming, and one needs to have it at that point, I think, because typically, I mean, as we are looking at it now, we’re looking into the painting at that point. That moment of stillness. CLARK: Yes, absolutely. Of course, if you start to think about the painting with something going on in the sky and the lake, I mean, it would just be unthinkable, somehow. It has to have this moment of stability and clarity. That’s a sort of essential to the pictorial order. We tend to think of Poussin—I think art historians think far too much of Poussin as an intellectual, as a sort of calculating, rational artist. I absolutely think this is, you know, only part of the story, you know, what makes his pictures often so extraordinary and enticing is sort of pure improvisation in paint. And actually, if you start to go in and look at his treatment of the grass on the far shore, or the backs of the sheep, it’s full of the most astonishing improvisation and inspiration in paint. But he was also a calculator. And I think I say at one point in the book, if you start to think about the relationship between the roofline of the castle and then the roofline of the castle as it’s reflected interview he lake, it’s an absolutely astonishing theme and variation, almost like a great, you know, piece of Bach counterpoint, really. Because they are the same, and yet he’s shifted or he’s chosen his point of view so that it’s not simply a duplication. Everything is different, although you recognize it. I mean, this is an exercise is sort of brilliant perspectival thinking, among other things. CUNO: And it compels one to be a pedant, and to begin to count the windows to make sure that there is as many windows below as there are above, and all this kind of stuff. But in the book, you know, you point out that as exacting as it is in the reflection of the scene above the lake and so forth, that he marks out the landscape beyond with just a single swipe, or seems to be maybe two swipes, of a paint-loaded brush going across, and draws our attention to the act of painting at just that point. CLARK: Yes. Which I think he does all the time in his painting. That’s my great quarrel with the Poussin industry, is that— You know, there was a wonderful essay written decades ago by the great connoisseur, art historian Denis Mahon, called “A Plea for Poussin as a Painter.” Already saying, don’t drown him in iconography and, you know, contextual studies. Look at him as a painter. He is absolutely infatuated with what oil paint can do. So I invite anybody in front of the picture to go in close to that line of grass and just see the extraordinary boldness with which he drags the brush, you know, along— over a foot, really. JIM CUNO: Now, this picture, as you note in the book itself, was originally paired with the second one that we mentioned, the Landscape with a Storm. But it was also, in the gallery in which you saw it here in the Getty, it was paired with the Landscape with the Man Killed by the Snake. We don’t have that here because that picture’s back in London, of course. But I have a copy, a photograph of it here. Could you describe the painting to us? CLARK: Well, it’s a landscape, not unlike the landscape in the Getty. A castle on a hill, a lake, a distant town, mountains, trees framing the foreground, a little stream running from—you know, under our feet, as viewers, down into the landscape. And then you begin to see that right in the foreground, there’s a body, probably a dead body, although there’s a horrifying that it might just be still struggling. It’s wrapped around with a horrifying, and actually rather improbable, improbably large and slimy black snake, black boa constrictor. And this figure, right in the foreground on the left, has just been spotted by a man, a beautiful man in blue, looking back horrified at it and running back into the picture, really, to try and tell his friends. And there’s a woman on the path further back, who’s just understanding that the man is saying something dreadful has happened. So among other things, it’s about the stages by which men and women come to terms with the eruption of death and danger into what seemed a stable and welcoming world. CUNO: Yeah, yeah. I mean, that is the contrast with Landscape with a Storm, is that the landscape itself here is not unlike, much unlike, Landscape with a Calm. But there is that moment, just that instant of alarm that precedes, perhaps, you know, a change in the landscape itself. You might imagine a storm following upon the alarm expressed by the man who’s just seen the snake. There’s something wrong in that landscape, terribly wrong. CLARK: There is something wrong in the landscape, yes. But it doesn’t infect the whole landscape, right? Once again, there’s a kind of balance between those elements in nature, and also in the human world, that are stable, predictable. The repetitions of, you know, dawn and dusk. The sun comes up, the sun goes down. We’re not in an unstoppable world. And actually, I think it’s—see, I think it’s very, very important to Poussin that painting stops time. And these moments at which things are arrested, maybe at a moment of danger. But the arrest, the stop, enables us as human beings, to look at what’s happening, think about what’s happening, think about what we might do to bring change and temporality under control. I mean, I think painting is so important to him because it stops the flow. So this landscape, too, after a while, you begin to think about, well, what time of day is this? Is the sun coming up? Is the sun going down? Is it morning? Is it evening? It seems important, perhaps, that it’s one or the other. But how do I decide? How do I decipher the clues that nature gives me? So I think an awful lot of the time, you know, Poussin is setting up a situation in which what appears to be stopped for eternity is, you know, much more kind of mobile and illusive than we see at first sight. CUNO: You come to believe that it’s the morning. And you come to believe that, in part, because of the color of the light, the brightness. It’s not the reddish light that one might have at the end of day. But also by the woman who’s there, again with laundry, it seems, as if beginning her chores. Or the fishermen that are just back further in the lake, who are perhaps, again, beginning their chores for the day. So there is a sense that the day has just begun. And with this particular day, a day has begun with this alarming sight of a man who’s been killed the night before. CUNO: So there’s a sense that that otherwise beautiful day that was filled with promise has now begun with something terribly, terribly alarming. CLARK: That’s right. But of course, the whole picture says, you know, life doesn’t turn on the dreadful and the deathly, that the whole scene matters, because the man, the woman, and us do see death in the landscape doesn’t mean that that’s the truth of the landscape. The landscape still is beautiful. The sun is rising. People are going— and will go about their tasks. And nature is this sort of balance of order and disorder. And we shouldn’t give up. We shouldn’t panic. CUNO: Yeah. And the man who doesn’t recoil in the prospect of that kind of nature is the man who sees the man killed by the snake and has the horror on his face. You draw attention to the face, in fact, as the face that is on the cover of the book, with the title The Sight of Death. And it is about how he has seen death. And you ask of that face, “What is it in the human dealings with nature that puts a stop to the present and produces a fully human temporality? What is it that does this? What but the sight of death?” What did you mean by that? CLARK: Now, this really steers us into deep water, Jim. I mean, of, you know, thinking about the nature of the human. I think that part of Poussin’s thinking on this is that we need to have a sight of death and of our own death. We need to live our life in the full consciousness that death is part of life, a constant partner to life, if we’re to really think about the nature of human life and the time we have and what human time is, as opposed to natural time. Seventeenth century thinkers—we would now tend to dispute this, at least for a large part of the animal kingdom—but seventeenth century thinkers tended to believe that, you know, animals don’t have a consciousness of death, and that it’s a human attribute, to live in the fa— Of course, this is all completely bound up with, you know, Christian belief. And by the way, I mean, I’m not for a moment suggesting that Poussin wasn’t a Christian of some sort. I’m sure he was. Although probably had a complicated relationship towards Catholic orthodoxy. So it’s that, really. You know, the idea that our sense of a life only crystalizes when we really are confronted not only with pain and suffering, but with, you know, termination. CUNO: Yeah. And you go on to say, “What is most dreadful about the dead body is its immobility, its becoming a mere thing. And that is always what is potentially dreadful about anybody, any action, however vivid and legible, as it appears in a picture.” So you take us back to painting. Everything in a picture is haunted by the auratic power of death. CLARK: I think that was probably because I was reading Walter Benjamin at the same time as I was writing this, and I think I even say in the book that, look, I’m going to offer excuses for sort of straying too far into philosophical territory here. But I do think I still would stand by the basic idea that, as I’ve said before, Poussin loves the fact that painting stops time. That is, it’s just constantly thematized in his work. We’re at a moment of arrest. But of course, he also thinks that stopping time has something dreadful to it. You know? And actually, when time will stop for us, it will be a moment of— Well, we don’t know what it’ll be. But it’s certainly a moment we fear. CUNO: I mean, this is in the book, at just this point, you offer a free association, which I’ll get to in just a second. 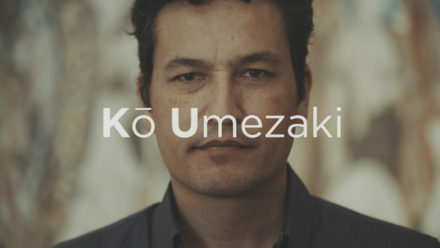 But it gets back to the subtitle of the book, which I want to get to eventually, which is An Experiment in Art Writing. So the sense, experimental, about the process that you’ve undertaken in the writing of the book. In a brief but deeply moving moment in your book, you give yourself off to this free association, as I said, and you call it that, to free up, it seems, something in your looking at the picture. In other words, this might be a device that helps you see something that you couldn’t otherwise see. In this case, it’s the outstretched arms of the woman reacting to the horror of the man, seeing the man killed by the snake. Lower left, there’s the man killed by the snake; on the right is a man who’s just seen that and is expressing the horror. Then there’s the woman, as you said, as we talked about earlier, just back in the picture, who’s reacting to the man who’s just said something —just expressed the same of horror. And you see her hands as caring and protective, but also as raised as if to strike. And then you see them as your mother’s hands, both terrifying and endlessly gentle. And this triggered a memory of her returning from an absence and being disappointed by you, by something you did, which caused her to look to you as from a distance that could never be bridged, you said. A rupture that couldn’t be fully repaired. An anger that you felt her mother herself was experiencing similarly, that couldn’t but burden her. So there was a sense in the writing process that that free association drew your attention to a condition that was expressed by those outstretched arms, that helped you see further into the picture. CLARK: Yes. I don’t want that to be the key to all mysteries, but I was aware that this picture wouldn’t let me go and that there was something in the picture which was drawing me back and back, in a way which I didn’t fully understand. I don’t think that always turns, although, you know, I was brought up in the era of Freud and French psychoanalysis and so on, but I was always arguing with it, actually, from a Marxist point of view. So I don’t believe that compulsion and a repeated need to confront an image must turn on some psychological attachment to it that you still can’t quite bring to the surface. But I think that sometimes it does. And it did here. You know, it was one of the most wonderful moments I shall ever experience as an author, being told by my elder daughter that when she was reading those pages of the book on the tube in London, she got so absorbed that she went on far past her tube stop and had to [laughs] change trains and come back. So, you know, of course, that’s a family issue. She just knew my mother. But I think—I trust to that free association. It happened. It happened very spontaneously. It wasn’t produced. I hate those kind of psychoanalytic moments when you can hear the kind of machine of interpretation grinding and, oh, yes, it’s the Oedipus complex again. I mean, that’s what, of course, unfortunately has discredited the psychoanalytic frame of reference, that it did become that mechanism. CUNO: Yeah. But it does seem perfectly legitimate that one would—a memory of something would’ve been triggered by the gesture or the expression of a painted figure. It would help one understand what was meant by that expression. Not necessarily in any kind of—the details that you would’ve experienced yourself in your life, but it did mean something that Poussin painted her that way at that point in the picture. And what one was trying to do was to understand exactly what that was. Or something about what that was. CLARK: That’s right. 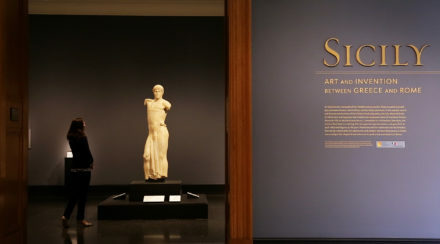 Because when you start to scrutinize the figure, it— Again, I would have a quarrel with normal art history here, that normal art history will want the figure to be unequivocal. Ah, she’s part of this plot, and she’s the figure of, oh, just trying to understand what the man who’s seen the snake is signaling. Well, that’s a simple-minded view of what painting is like. Painting, when you start to—Poussin may have started with some such framework, right? That’s the basic thing that this figure is doing. But of course, painting discloses to the painter, other aspects of an expression, a pose, that he or she is barely aware of. That’s the mark, for me, of a great painter, is that paint discloses content. CUNO: Yeah, it’s just at this point in the book that you begin to talk about art history, as you have raised it a couple of times in our conversation. In the book, you write that “art history suffers from going to its texts, its contexts, its surrounding worlds, its speech and belief, with far too crude and approximate questions in mind. It gets a rough fix on what representation might mean or how it might have been put together, and then depends on history to turn that rough fix into a specific philosophy. I think the crudity of the first intuitions is a problem.” That’s what you’re saying. CLARK: Yes, I still think that, unfortunately, and I think it’s, you know, just sort of so deeply fixed in our discipline, you know, as a discipline, as a set of teaching and learning institutions and it’s also, you know, comes out of the fact that we are art history. And our relationship to criticism and to, you know, critical looking, what literary critics call practical criticism, right, exposing oneself to the complexity of the object. I think our discipline remains tremendously uneasy about that. It wishes the safety and certainty of a world of texts. CUNO: Yeah. You consciously called it An Experiment in Art Writing and not art criticism. Tell us about that decision. CLARK: Yes. I don’t know. I mean, a friend of mine actually said at the time, “You know, I think you should cancel the subtitle.” [chuckles] It’s too apologetic. CUNO: The experiment part of it. CLARK: Yes. And he may have been right, actually, because in some kind of way, I think that this kind of exploratory writing about what it is to look and the way in which pictures open themselves to repeated interpretation, I think this shouldn’t be experimental; it should be absolutely part of what we do as scholars, writers, critics, historians. It should be absolutely part of our— It used to drive me mad at Berkeley. Mind you, in the end, they didn’t dare do it anymore. But at the beginning— A graduate student used to come in, you know, to a seminar with a paper. And the kind of formal analysis bit, or the description of the picture bit, was sort of left in kind of scrappy note form, because that was subordinate to the, you know, the seriously scholarly business, which was all written out. You know, the stuff about text and context. But form, or the interaction of form with context and text, that could just be— You know, that was subordinate. Well, I mean, I’ll go on quarrelling to my dying day with this, you know, this system of priorities, really. CUNO: So I took the experiment, the word “experiment” in the subtitle Experiment in Art Writing, as to indicate a method of opening up, rather than locking down possibilities. CUNO: And that it would be transferred into some other kind of prosaic form, that you would maintain the diaristic form. CLARK: Exactly. Yes. And I mean, I remember, you know, at the moment when I finally revised it or finished revising it, and I gave it to my partner Anne Wagner to read, as she’s always the great first reader. And I did say to her, “You know, look, I want you to tell me if you think this really is a book.” And so that kind of level of uncertainty about whether it was a book or just a series of notebook entries—I mean, of course, that was part of the excitement. CUNO: Yeah, in an interview, a rather extensive and incredible interview, actually, I think in The Brooklyn Rail ten years ago, just after the book came up, Kathryn Tuma, with whom you were talking, said that she’d read your book as a way of arguing with our image-centered world. It’s about what you were beginning to say a minute ago. And she quoted you as having written of Poussin that certain pictures look like language, in order to alert us precisely to their unreadability; and that Landscape with a Man killed by a Snake is a picture of the moment before speech. At the risk of asking you to repeat yourself, since you’ve already talked with her about this, could you tell us what you meant by that? ’Cause that was getting to your point, it seemed to me, about the process, or the conventions of art history locking down on meaning. CLARK: Yes, I think that’s right. I mean, I think that on the one hand, you know, obviously, Jim, as I’ve said, I’m kind of still hostile to the idea that we solve the problem of a picture by finding its textual source. I mean, of course, sometimes finding its textual source is extremely interesting. But then, it seems to me, it’s the beginning of a process of thinking, I see, so what does the picture do with this source? What’s the necessary and contingent difference between staging a scene in words and staging a scene wordlessly? You know? I’m very fond of the phrase that crops up in one of Poussin’s letters, you know, where he says, “I’m someone who makes their living out of mute things.” You know, that, from a very intellectual and well-read man, very, very interesting comment, I think, on what he does as a painter. So on the one hand, I want us to be alert to the image as image. But I also want us to—here’s what I meant when I was talking to Kathryn about this as being an argument with our present image world. I’m interested in the idea that the image can truly have depth, complexity, uncertainty. The nature of the image isn’t to offer itself immediately, to offer the world all in one go, right? I’m interested in the capacity of images to be as discursively complicated as any sentence out of, you know, Kant. CUNO: You said in the same interview in Brooklyn Rail with Kathryn, you said that you taught art history for many years, in part, because it’s urgent politically to do so, to point to the real boundaries between seeing and speaking, or sentence and visual configuration, and to try to keep alive the notion of a kind of visuality that truly establishes itself at the edge of the verbal. Never wholly apart from it, needless to say, never out of discourse’s clutches, yet able and willing to exploit the difference between the sign and a pose, or a syntactical structure and physical visual material interval. That is what The Sight of Death is aimed against. It wants to discover what images are capable of, and what real worldlessness, in the face of the world of words, looks like. And there’s a political dimension to that. That’s what I want to get to now. In this experiment of art writing that’s gone from—or seamlessly, perhaps, it’s gone to—it’s evolved into a discussion about the politics of the world not just of Poussin, but the world in which you’re writing the book. CLARK: Yes. You know, I do say that in the book, right, that I’m not claiming that this is a strong politics, right? And I’m wide open to the challenge that, you know, my involvement with and commitment to the world of paintings like this, you know, is in some ways, a retreat. You know, I’m used to this, right? You know, why don’t I talk about contemporary art? Why don’t I talk about advertising, et cetera? You know, the real world of image struggle. My answer, actually, my honest answer is, look, life is too short. You’ve got to own up to what you truly care about and, you know, what sustains you. So that’s a large part of it. But there is a politics in this sense, that we are in a world which, you know, some old political friends of mine call the society of the spectacle, in which the power—the owners of the world we live in bombard us with imagery, and that imagery is a form of social control. We’re bombarded with seemingly transparent and available and seductive images of what life is, could be, the way to the good life, the nature of the good life, as a way, I think, of you know, simplifying and bowdlerizing and travestying, you know, the possibility of human discussion about what the good life and the bad life might be. So I am interested in trying to speak back to that and saying, look, there is always the possibility, in visual imagery, of true debate, right? True exploration. True admission of the tragic, the irremediable, the wonderful, the astonishing. Right? You know, and the balance between these—these aspects of human life and natural life. And we better hold onto that possibility, right? You know, not give in to— After all, here we are in February 2016, right? In a situation where every night, I switch on the TV and see politics, you know— see the business of who might control the biggest military machine and the biggest commercial empire the world has ever known. See it reduced to an appalling and ridiculous pantomime. This is the society of the spectacle. And a lot of it depends on image, right? Trump is the master of image manipulation. So that’s my politics. What you do in response to that, very complicated. But part of it, I think, ought to be keeping alive the idea of the image world as offering us something more than immediate gratification. CUNO: Yeah. And I think what you also offer in the book is that this was a part of Poussin’s enterprise, as well. I mean, part of what he wanted of his pictures, the kind of alertness he wanted to elicit from people who looked at his pictures. CLARK: Yes, that’s right. I mean, we should remember— And actually, when you see the kind of actual scale of this picture in the Getty, a very interesting scale. You know, it’s large enough. But remember, it’s this curious thing called an easel painting. And that was part of Poussin’s argument with the visual culture of his own time, right? I mean, he dissented from the Baroque, having begun as a Baroque artist himself, dissented from, you know, its pyrotechnics, its melodrama, its excessiveness. The fact that kind of visual imagery was tied into a tremendous architectural and religious machine—machinery. You know, part of what he’s saying—and I think that’s part of why he appealed to these very special patrons—is that, look, visual imagery ought to be something closer to what philosophers or writers do. CUNO: Yeah. And I want to close with that, because we’ll get to that in our closing. Which as you say in your interview, and in the book, in fact, you say that you think a good poem about Poussin would be the highest form of criticism. And in your Brooklyn Rail interview, you say that poetic language, language at maximum intensity and concentration, taking full advantage of the materiality of language itself, is about the best way we have of dealing with the world. CLARK: Yes. Well, I do believe that. I do also say, you know, that actually, poems about paintings are a trap. And they can be perfectly dreadful. And I suppose that my daring to say, look, a poem is potentially the right way to respond to a painting was meant as a provocation to the discipline. There was one young reviewer, probably in the Oxford Art Journal or somewhere, who said that when they read that sentence, they threw the book across the room. Which did seem to me very much the—you know, the voice of sort of anti-aesthetic art history wisdom, which I’ve had far too much of. So it’s a dangerous statement, right? You know. And I don’t think that one wants an art history which is just all, you know, purple prose. But on the other hand, maybe we should at least occasionally, or at least tangentially, you know, want in the end to find a language that does painting justice. CUNO: In your book, you included poems that you had written in response to the pictures. I wonder if we could close this podcast with your reading a poem that you wrote in response to Landscape with a Calm, called Landscape with a Calm. It was inserted in your book as the January 30th entry. So it was begun as you looked at, and obviously you refined it as you went along. But it does put into practice your proposal that maybe a poem is the best response to a picture. Could you read that for us? The man with the goats has seen this light before. To get a better view. His dog awaits instructions. People like him have stepped into the same river twice. Sometimes turn things aside from the way they are normally. Shadow on the eyes of a face. Essentially as sound, warmth, a flooding of low energies into oddly shaped receptacles. Bagpipe music (finally tolerable). Birch leaves. The smell of stubble fires being doused. Don’t assume that men on galloping horses are in a hurry. To be on the wrong side of the river when the sun goes down. Waiting for the Dark Ages, offering them its Roman nose. Is enough of a stereotype, the city on the hill having failed us. But not changeable, not empty, not the blue of a house by the sea. A brush or a glove, until it looks the same way for a week. CUNO: Our theme music comes from “The Dharma at Big Sur,” composed by John Adams for the opening of the Walt Disney Concert Hall in Los Angeles in 2003. Look for new episodes of Art and Ideas every other Wednesday. Subscribe on iTunes, Google Play, and SoundCloud or visit getty.edu/podcasts for more resources. Thanks for listening.